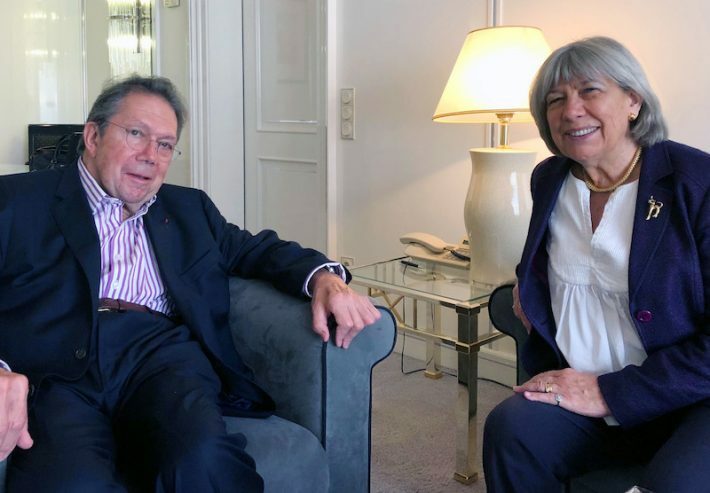 After six decades in publishing and 13 years on Frankfurt’s Advisory Board, French publisher Alain Gründ talks about his family’s publishing legacy. The city of Frankfurt and the book fair are, figuratively speaking, in Alain Gründ’s DNA–both professionally and personally. His great grandfather moved in the 19th century from Frankfurt to France where his grandfather, Ernest, was born. Ernest went on to establish the Gründ publishing house in Paris in the early 20th century. Alain Gründ, who took over his grandfather’s business from his father in 1963 has been coming to the Frankfurt Book Fair since 1958. After being on the fair’s advisory board for 13 years, he submitted his resignation this year. Sixty years is a good amount of time to observe the book industry and to have survived the ups and downs of his own publishing company, which Gründ sold to Editis in 2007. But back in the 1950s, Gründ says he wasn’t necessarily interested in going into the book business. “I didn’t really want to be involved. But I had to be, because my father had decided he was going to pass the torch on to me,” said Gründ, in an interview with Publishing Perspectives. To return to Gründ’s grandfather, his publishing house had first specialized in art books and re-issued books that were out of print. When Gründ’s father Michel and his brother Jacques took over the business in the early 1930s, the brothers had very different ideas about how to continue running the company. But Jacques’s untimely death in 1939 meant that Michel’s interests took over, which were far less business-oriented and more focused on art books and niche subjects. One of Michel’s passions lay in the Bénézit dictionaries, a comprehensive source of artists’ biographies that had started in 1911 but were abandoned by the original publisher. Oxford University Press acquired the Bénézit dictionaries in 2010 and has since developed an online version. When Gründ was still a student, he took night classes and worked at the publishing company during the day. He received a grant to study in the US and went to the Wharton School, where finance was not a favorite subject, but he did like sales management. This boded well for the future. Meanwhile, the family business was not going well. Gründ set up a sales team with representatives working for several publishing companies. Things began to take off when Gründ began co-editions with a Czech publishing company called Artia, which was a wellspring for talented illustrators. Gründ’s father Michel worked on this collaboration. Gründ also began co-editions with Paul Hamlyn with art and children’s books. Éditions Gründ’s sales became exponential, and after a while the co-editions represented 80 percent of the company’s sales. Monique was responsible for bringing in Where’s Wally? (Où est Charlie? ), which became immensely successful, as well as other titles that Éditions Gründ licensed, such as the Smurfs. 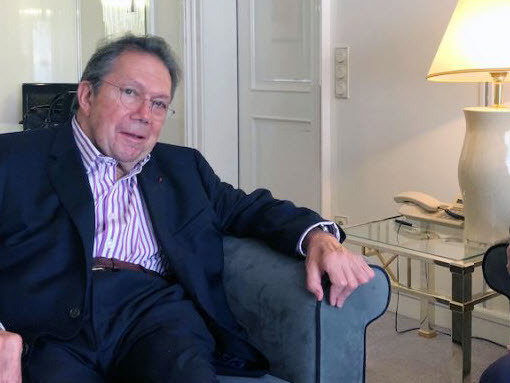 Besides being at the helm of Éditions Gründ until 2007, Gründ has been at the head of a number of professional organizations including the French Publishers Association, the Federation of European Publishers, the International Union of Publishers, the International Bureau of French Publishing and the Frankfurt Advisory Board. With his newfound free time, he says he hopes to take up playing the piano again and indulging in his passion for history, reading books specifically about Europe during the years 1933-1947 and the Algerian War. This story was originally published in our Frankfurt Book Fair Show Daily Magazine of Friday, October 12, 2018.